Guiding people through the process of creating their OTM Plan for Personal Success is one of the most rewarding aspects of my work. I especially enjoy helping people who have the courage to ask questions when they are 'stuck' throughout the process that I guide them through. Tonight a participant in the program I was conducting asked me if there was something wrong with her because she hadn't been able to answer the questions that I had been asking that are designed to help people to work out their personal vision. Sometimes up to one third of program participants report this challenge. Which is why it was so important that that Lilly asked her question. You see, in answering Lilly's question other participants were also able to 'unblock' themselves from their challenge. When I inquired with Lilly about why she had struggled to answer the questions, I discovered that Lilly had been letting her present reality 'get in the way' of defining, and physically writing down what she really wanted. This is common. Our present reality is so 'real' that it can be very difficult to set it aside and write down what we really want. Fortunately I was able to help Lilly see past this challenge so that by the end of our short conversation she was flowing with answers that related to her personal vision. When we create a personal plan for success we have to focus on what we want. After all, who is going to put into action strategies that are going to create who you don't want? Not me, that's for sure. Finally, creating a personal plan is like any skill. The first time we do it we are not as good as we'd like to be. This is normal. Which is why personal planning needs to be practiced and, especially in the first years of living your OTM Plan for Personal Success, I recommend updating your plan every six to 12 months. 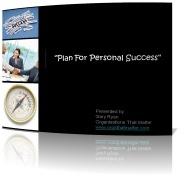 If you are interested in creating an OTM Plan for Personal Success, why not check out the free 40 minute webinar that I am hosting on this topic. If you were a CEO would you run 260kms for your philanthropic organisation? Well, that is exactly what Adrian Panozzo, OTM Academy member and CEO of Reclink is doing! Adrian is hoping to raise $10,000 for Reclink by completing the Marathon de Sable which commences on April 1st. Over seven days Adrian will have to carry his own food and water across the desert. Please support Adrian as Reclink is a charitable organisation whose mission is to provide sporting, social and arts activities to enhance the lives of people experiencing disadvantage. Subscribe to Gary's Podcast in iTunes here. Innovation is considered to be one of the most defining characteristics of a successful organisation. 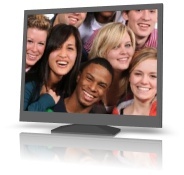 From an individual perspective, the capacity to be innovative defines your employability. In simple terms innovation is the ability to take something, and to place it with something different in a way that provides some form of value. For example, the classic paper bag and gift wrapping paper existed separately for 100 years. Then, one day, they were put together and the Gift Bag was born. On many levels this is an example of linear or incremental innovation. After all, both wrapping paper and the classic paper bag were both made of paper. The Sony Walkman of the 1980s is another, non-linear outcome of taking something and placing it with something different. This time it was adding a music player to the concept of portability. In many ways the iPod is an incremental innovation that evolved from the original Walkman. Yet it is also an example of non-linear innovation. In this example the portable music player was added to a computer and the internet and the iPod was born. So how do you develop the capacity to innovate? Practice. Each time you confront a problem or a challenge ask yourself what two or more things could I put together to solve this problem or just add value to my present circumstance? While non-linear innovation is regarded as the step-change or game-breaking type of innovation, incremental innovation is also valuable. Conscious practice of innovation is what builds its capacity. How often are you and/or your organisation practicing it? If you're looking for something to read on this topic, it is still pretty hard to go past Gary Hamel's book Leading The Revolution. My work results in me working with Gen Zers through to Builders. Not a bad spread, is it! Often Gen Xers, Baby Boomers and Builders bemoan Gen Y. "They want everything now", "They are selfish", "They don't understand loyalty", "It's all them!" are statements I regularly hear. But Gen Y are as selfless, community focused and loyal as any other generation. Some of the work I do with developing leaders has me working with students in various leadership programs for universities based in Melbourne, Australia. 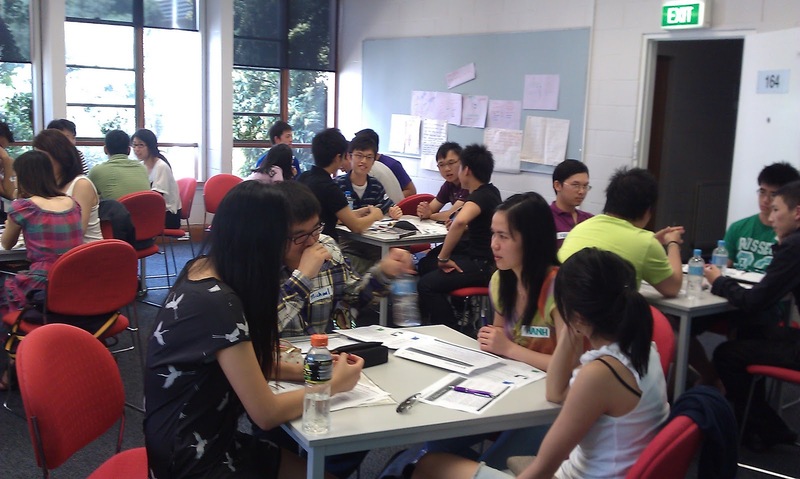 One such program, the PAL Program for the Faculty of Business and Economics at Monash University has students experiencing a range of developmental programs over a three year period. In their final year of the program the students create community based projects. They give up their time to generate and manage sustainable projects. Last weekend 56 students gave up half of their Saturday (it was a beautiful 29 degree day too) to go through a facilitated process to create projects. Next Saturday the students will complete the first phase of this process as each 'project team' will participate in a workshop to 'launch' their project and enhance the probability of achieving their desired project outcomes. The projects often end up raising awareness for charities and/or current domestic/world events. Ultimately, the students do make a positive difference through their actions (which are all in addition to their studies, part time work and anything else they might be doing with their lives). If nothing else their projects create a sense of community and belonging for students, factors that are extremely important and cannot be underestimated in terms of student well being and mental health. A significant purpose of the program is to enhance the employability of the students by providing them with real opportunities to do real work. Universities recognise the importance of creating well rounded students who understand theory and are also able to put theory into practice. Over many years of facilitating these programs I can say that they do enhance the employability of the students. The lessons that arise from working with other talented people, within tight timeframes and limited resources (often there is no money available for the projects - the students have to generate the income they require for the projects to be funded - which create a wonderful 'mind-shift regarding money that is invaluable) are practical, real and powerful for the students. After each day of completing my work with these students I always walk away with high energy levels and heightened sense of positivity regarding our future. These students do care about more than themselves, they are selfless and willing to give of their precious time for a higher purpose and most importantly they do make a positive difference. Our future really is in good hands. I look forward to sharing their successes later this year. You may find the title of this article intriguing, "Re-entering the 'non-virtual world." What is the 'non-virtual' world? For me it is the present world, the real world. 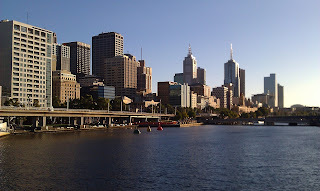 Early this week I was walking across a bridge over the Yarra River. The early morning sun was rising in the east to a back drop of a beautiful clear sky in various hues of blue. 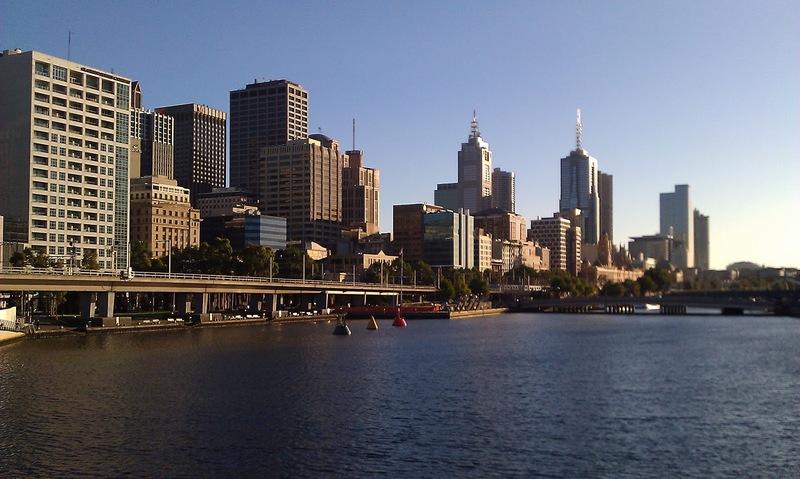 The Melbourne city skyline looked magnificent. At first I continued walking. After all I still had a bit of a walk ahead of me before I reached the building in Melbourne's financial district where I was to meet my client. As I walked I had been going over my preparation for my meeting. The view I saw was so stunning that I stopped. I remember thinking, "Gary, this is beautiful. Why don't you stop and just take it in." You know the energy that you get when you see something beautiful. That's how I felt viewing what was before me. Then I noticed that everyone was rushing past me, seemingly unaware of the beauty before them. At a closer look I noticed the ear plugs. A very high percentage of people had them in their ears. Then I noticed something else. Despite the high number of people passing me, I didn't hear a word of conversation. I decided to take a photo of this beautiful scene using the camera in my phone. As I'm not a photographer my photo doesn't do the view justice, but it is not too bad just the same. As I reflected on this scene I began to wonder about the percentage of our lives that we live in the 'non-virtual' world. In other words, how much of our time is actually spent in the present? The present is a place where the world is alive right now. There is literally no past and no future. Just now, just this moment. In terms of work this relates to our awareness of what is happening right now. How engaged are people with this meeting right now? How honest are people right now? What is the 'energy' within our office space like right now? How are staff treating each other right now? As a fairly high user of the virtual world myself I am not advocating abandoning it. On the contrary I believe it has a valuable place in our lives and social media is just one example. What I am talking about is balance. Sometimes I run with my iPod, but most often I don't. I want to be in the present when I'm running, and I want to be able to use all my senses when I'm in it. Being in the present means that I increase my chances of seeing and then being a part of beauty. It was amazing how the energy that I received from the view from the bridge that morning sustained me through the day. What are your experiences of re-discovering the 'non-virtual' world'?